Some Tension Within The Team? 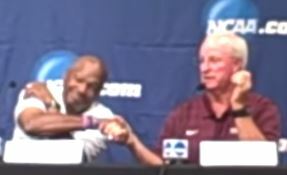 – Exchange between LetsRun.com and Eric Jenkins revealing what anyone who watched the men’s 10,000 on TV sensed – Edward Cheserek clearly didn’t follow the script to cruise in together with his teammate. Instead, Cheserek kicked it in for the individual title to the surprise of Jenkins, who said as a result that he doesn’t view his 10k loss “as a real loss.” Was this payback for the 3,000 indoors? How will it all play out in the 5k? 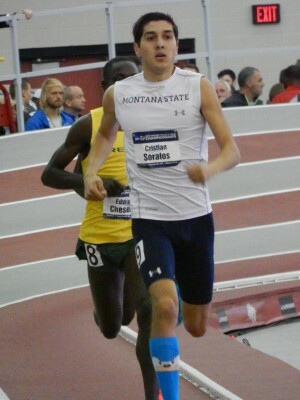 Cristian Soratos: " I don't like how distance running has become a jog and sprint fest..."
Eric Jenkins pissed off at Ches? 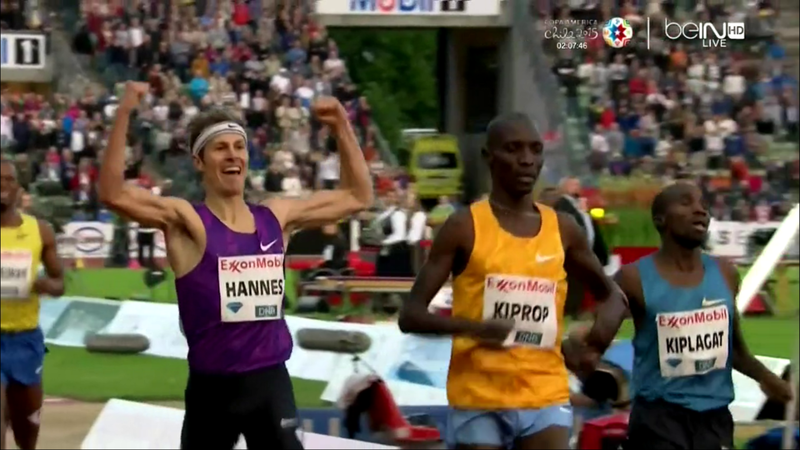 LRC 50th Bislett Games Recap: Asbel Kiprop Wins The Dream Mile, Genzebe Dibaba Comes Up Short In 5,000 WR Attempt, And The HJ Fizzles Asbel Kiprop got the big win in the Dream Mile as the world record attempts in the women’s 5,000m, men’s HJ, and even the men’s mile all came up well short. Correction – LRC Alberto Salazar Potentially Faces Lifetime Ban From Sport If Allegations In BBC / ProPublica Investigation Are Found To Be True WADA Has A 10 Year Statute Of Limitations So Alberto Salazar And Galen Rupp Would Face No WADA Ban If They Doped When Rupp Was In High School We reached out to WADA to seek clarifications on what type of punishment Alberto Salazar would face if the allegations are found to be true by USADA. The results are interesting. 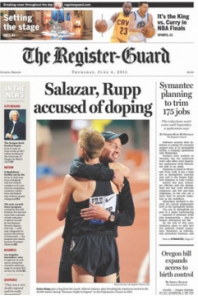 Salazar can’t be banned by WADA for giving Kara Goucher a prescription drug she didn’t have a prescription for; he could be potentially banned for “a minimum of two years” and “up to four years” for coaching Galen Rupp on how to get an IV drip; and he would get off scot free if he doped Rupp with testosterone in high school due to WADA’s 10-year statute of limitations. New Low For Boston 2024 As Poll Reveals Another Decline In Support The poll found that only 39% supported the bid. Baku Hosting First European Games Starting Friday The Games start amid human rights concerns. *Azerbaijan Bans Guardian Newspaper From Reporting On Baku European Games Other media outlets and human rights activists were also banned. Alberto Salazar Wants Mary Slaney To Come Forward About Their Coaching Relationship And Her Drug Bust Salazar contends that he wasn’t Slaney’s coach when she tested positive for testosterone and was only filling in temporarily during her build-up to the 1996 Olympics. Oscar Pistorius To Be Released From Prison On August 21st He will go under house arrest after serving just 10 months in prison, but could go back to prison depending on the outcome of the appeal by prosecutors, which will be in September. Race Volunteer’s Lawsuit Against Competitor Group Will Go Forward The issue is over for-profit companies using volunteers without paying them. California: Michael Norman, Only A HS Junior, Blasts 45.19 (National Record For HS-Only Race), 20.30, 44.9 Relay Triple At California State Meet California state meet results here. 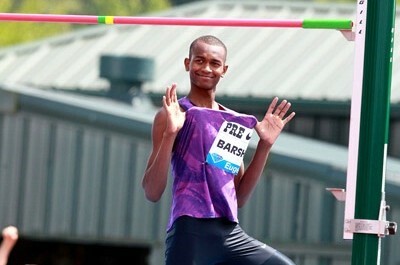 Asian Champs: Mutaz Essa Barshim Suffers Shock Loss At Asian Champs He couldn’t get over 2.24m in rainy conditions. 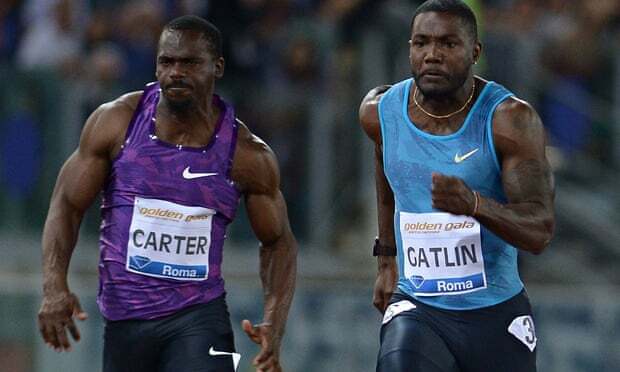 *China Adds Four Golds On Final Day To Finish On Top At Asian Championships Qatari Femi Ogunode won the 200 in 20.32 as the Chinese women won the 4 x 400 in a time that would have placed them 17th at the NCAA East regional (3:33.40). Kenya: Vivian Cheruiyot Wins Police Champs 1,500m Over Former World Junior Champ Irene Jelagat In 4:14.7 Her comeback from maternity leave continues. 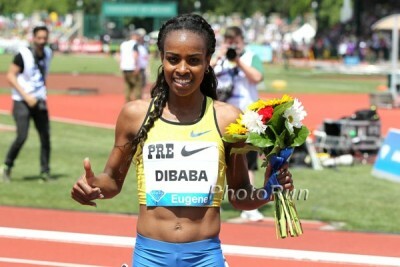 She ran 14:46 at Pre and was pleased. Her big focus she said is on Rio gold. 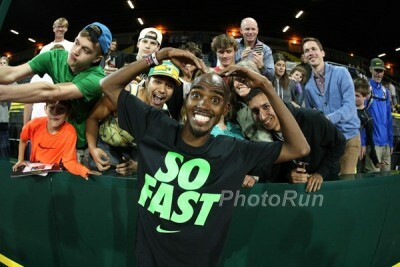 Independent: Mo Farah: What will he do now? Speak out, stay quiet or even ditch coach Alberto Salazar? Telegraph: Farah’s association with Alberto Salazar raises awkward questions Farah will face the press on Saturday before the Birmingham meet. MB: Now that NOP is exposed, will Nike withdrawl from 2021 Worlds? MB: Being from the NOP camp does that also imply that Cam Levin’s recent Canadian record is tainted? MB: So if 13:37 is a doped HS record, what about the others? MB: Epstein, Can you answer a few questions? 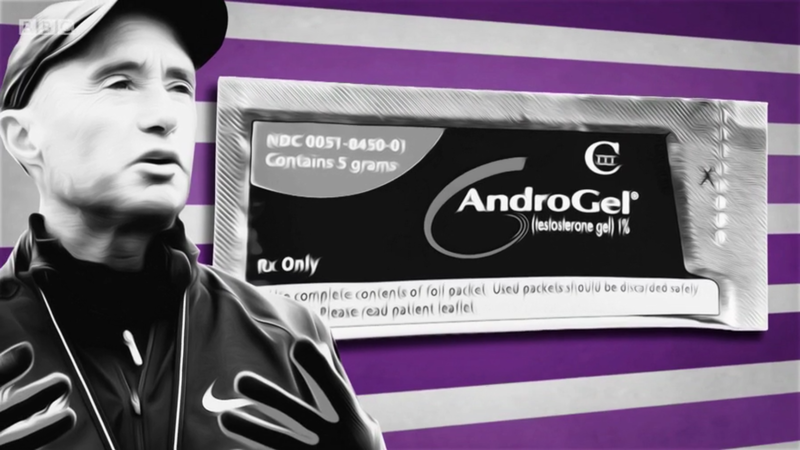 LRC Everything You Want To Know About The BBC Nike Oregon Project Doping Documentary If You Didn’t See It The show had multiple anti-doping allegations against Alberto Salazar and Galen Rupp, and that the Nike lab advocated for or was aware of testosterone usage by Nike athletes. 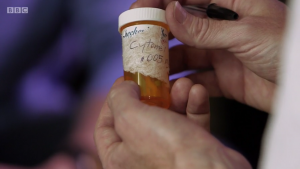 *MB: Former American Record Holder George Malley corroborates John Stiner’s allegation that androgel was in the NOP training camp Malley says Salazar admitted it to him in 2013. *What is going through Mary Cain’s Parents heads right now? *Rupp on Testosterone since high school ! *Are letsrun’s “trolls” still considered trolls… They are ALWAYS right. Men’s Team Battle: Oregon Moves Up, Florida Stays Strong Oregon projected 1st with 71 points with Florida 2nd with 67 points, so on paper it’s still a very close meet. Texas A&M is projected a distant 3rd. Day 1 On The Boards: MB: Eric Jenkins pissed off at Ches? 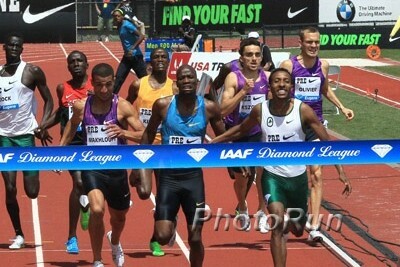 Saturday And Sunday: Bolt At The adidas GP And Will The NOP Show At Portland Track Festival? Deep Fields Including Many NOP Athletes Set For Portland Track Festival Women’s 5,000: Shalane Flanagan, Kara Goucher, Jordan Hasay. Men’s 5,000: Chris Derrick, Bobby Curtis, Cam Levins. Men’s 1,500: Galen Rupp, Will Leer, Garrett Heath, Evan Jager. Shannon Rowbury listed in 1,500 and 800. Andy Bayer and Sara Hall in the steeples. Ben Blankenship, Pat Casey, Lopez Lomong in men’s 800. Men’s 10K has Jake Robertson, Japan NOP member Osako Suguru. NYC: Former NY Giants Running Back David Wilson Competing In The TJ At adidas Grand Prix He hasn’t competed since he finished 6th at NCAAs in 2011 while at Virginia Tech. 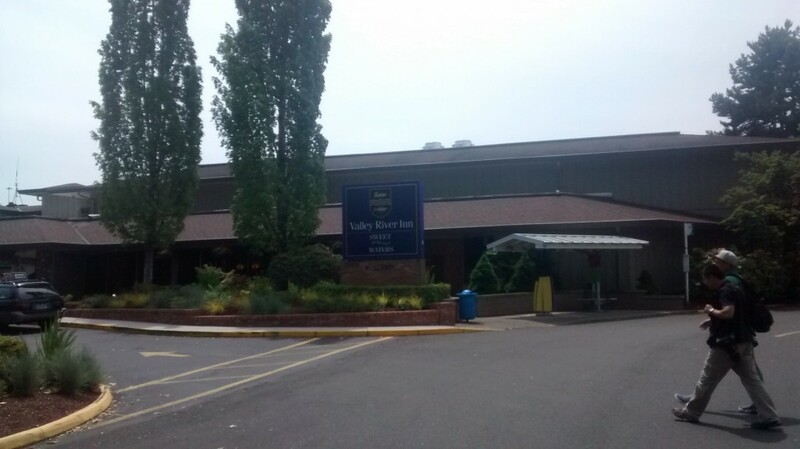 M Long-Distance Preview LRC Edward Cheserek And Eric Jenkins Will Dominate – The Question Is Will They Battle Each Other To The Line Or Cross Holding Hands? 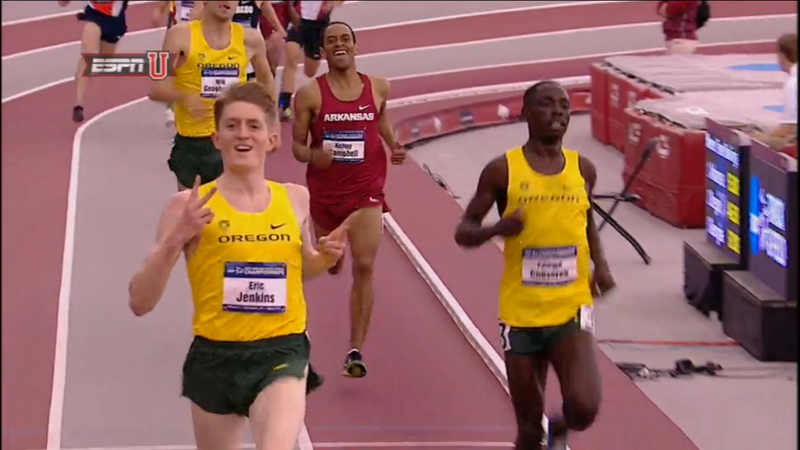 Oregon’s Edward Cheserek and Eric Jenkins are the favorites to go 1-2 in the 5,000 and 10,000 at NCAAs. But will they race all-out against each other? And can anyone like Jason Witt, Kemoy Campbell, Justyn Knight, Patrick Tiernan or Thomas Awad possibly break them up? M Mid-D/Steeple Preview LRC Cristian Soratos And Jordan Williamsz Lead A Wide-Open 1,500; Anthony Rotich & Stanley Kebenei To Duel In Steeple; Will NCAA Champs Brandon McBride Or Edward Kemboi Emerge In A Loaded Men’s 800? We’re not sure if there will be drama in the 5 and 10 but these races should more than make it up for it. The 800, where NCAA champs Brandon McBride and Edward Kemboi lead the way, is the deepest 800 in years at the NCAA level. 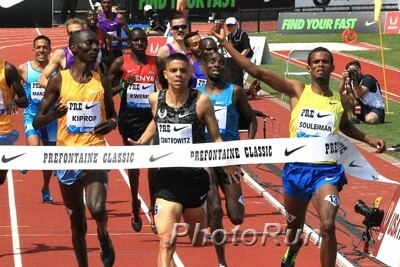 Cristian Soratos vs. Jordan Williamsz is must-watch drama in the 1,500 as is the Stanley Kebenei vs. Anthony Rotich battle in the steeple. W Long-Distance Preview LRC NCAA Champs Emma Bates & Dominique Scott To Battle In 10,000; 5 NCAA Champs Including Emily Sisson And Kate Avery To Battle In 5,000 With 5 NCAA champs battling in a single race, the women’s 5,000 promises to be a great way to end the distance action at the 2015 NCAA champs. W Mid-D/Steeple Preview LRC Shelby Houlihan & Leah O’Connor Eye Repeats; Natoya Goule Goes For NCAA Title #4 In Stacked Women’s 800 Leah O’Connor will look to be the first woman to repeat in the steeple since Jenny Barringer in 2009. Shelby Houlihan will look to be just the third woman in history to win back-to-back NCAA titles in the 1,500. Natoya Goule has won 3 NCAA titles but she faces a LOADED field. Monmouth’s Dylan Capwell Out To Prove 2nd Place Finish At NCAA Indoor Champs Was No Fluke The sophomore from a small school is dreaming of winning an NCAA championship. AP: “NCAA Track Championships Embark On ‘Grand Experiment'” There are some split opinions on the men and women’s meets being broken up on separate days. 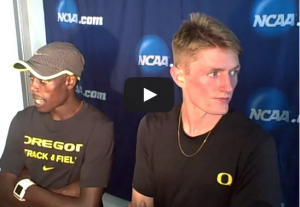 Also coaches speak out about NCAAs always being in Eugene. Interesting: In Wake Of Julius Yego’s Javelin Throw Controversy, SPIKES Highlights Five Other Moments Of Field Event Debate From History Did you know that Cuba’s Ivan Pedroso would be the long jump WR holder if an official hadn’t been standing in front of the wind gauge when he jumped? Profile On Kenya’s Commonwealth Games Javelin Champion Julius Yego Who Could Become The First Kenyan To Win A World Medal In A Field Event Yego says he actually had a tight hamstring when he threw 91.39m in Birmingham so only threw three times and knows he can do better. 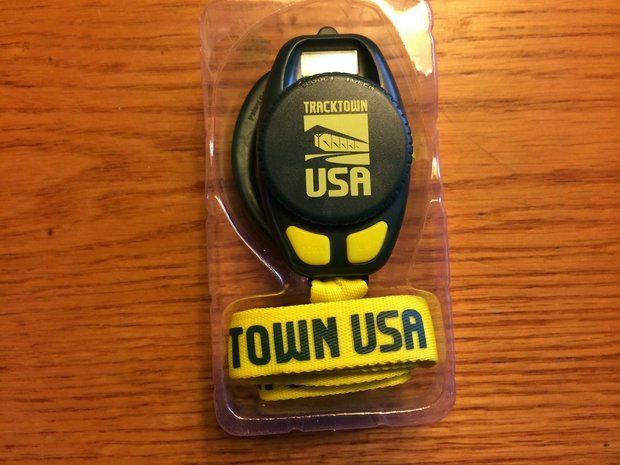 TrackTown USA Keeps Pushing Envelope – Fans Can Get Radio Receivers With Commentators For NCAAs Good idea. We think they should have commentators for the track events too. LRC Grant Fisher Breaks 4:00 – Runs 3:59.38 To Become 6th American High Schooler To Break 4 In Mile Fisher, who is more than a year younger than Matthew Maton, is now officially a total stud. Two-time Foot Locker champ and a sub-4 miler at 18 and 44 days. 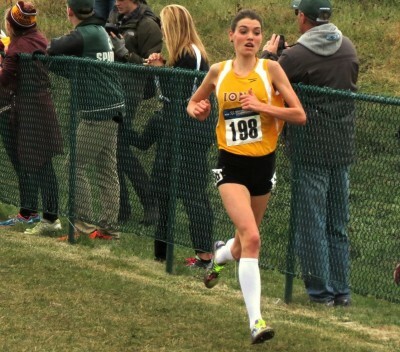 LRC Abbey D’Agostino Takes Down Desi Linden In 5k, Robby Andrews Crushes The Mile Field – Full Recap Of 2015 Adrian Martinez Classic Plus, have you ever heard of Hannah Fields? Jonathan Gault has gone above and beyond the call of duty with this 3,600-word recap. Matt Centrowitz thought it was a yawning matter, but no one else did, including Paula Radcliffe, Dai Greene, Nick Willis, Lornah Kiplagat and many others. 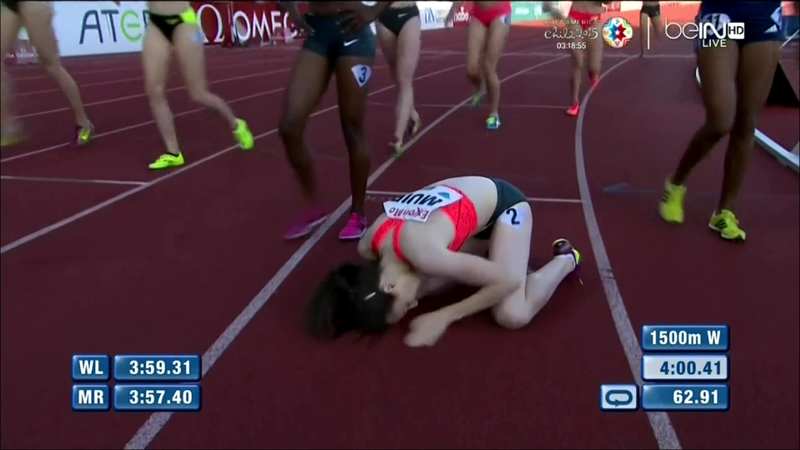 *Toni Reavis Reacts: “Bad news on this National Running Day 2015.” Reavis is a long-time friend of Salazar. European Reaction: The Guardian: Five Uncomfortable Questions For Olympic Champion Mo Farah #5: Will he sever his ties with the coach who helped deliver an Olympic double? *Telegraph: Let’s Just Be Honest And Allow Drugs In Sport Not a good idea unless you want to kiss women’s athletics bye bye as women would be forced to roid up and become men. RIP 1964 Olympic Sprint Champion And NFL Player Henry Carr Carr had an amazing career setting a 200 WR at 20 years old, winning the 1964 Olympic 200 and 4 x 400 after barely making the team and playing for the NY Giants. Results: 2015 Vancouver Sun Harry Jerome International Track Classic Sarah Brown won the 1,500 in 4:07.67, while Sheila Reid was 6th (4:11.38). Anthony Romaniw beat Harun Abda in the 800 with 1:47.95, and back in 7th and 1:49.72 was Andrew Wheating. Ross Proudfoot won the 1,500 (3:39.62) over Nate Brannen and Wallace Spearmon won the 200 in 20.77. South Africa’s Henrico Bruintjies Runs 10.06 To Win 100 In Prague Now South Africa has two sprinters this season getting close to breaking the 10-second barrier. Starting Today: World 10,000 Silver Medalist Gladys Cherono Racing Kenya Defence Forces Athletics Championships She’ll run both the 5,000 and 10,000. 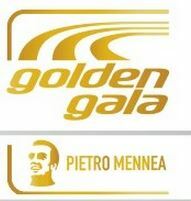 Olympic 800 bronze medalist Timothy Kitum will also compete. Mo Farah’s Blood Record To Be Examined By UK Athletics To Check For Any Signs Of Doping UKA head Ed Warner said that even if nothing is proven, they might still end their relationship with Salazar. Columnist: “UK Athletics Has Questions To Answer After Alberto Salazar Allegations” Salazar also acts as a UK distance coach/adviser. 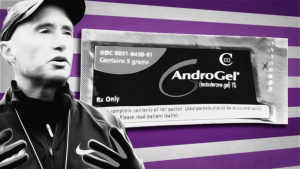 Did he recommend other athletes take anything to boost performance? Former NOP Assistant Coach Bob Williams Defends Salazar And Rupp Williams, who helped Salazar in 2004 and 2005, says he was “privy to everything” and that there “absolutely” was no doping. Good Read: 2014 US Marathon Champ Tyler Pennel Blogs About Going Sub-4 For The First Time In The Same Race As Grant Fisher Pennel finished 2nd behind Jordan MacNamara, but ahead of Fisher. 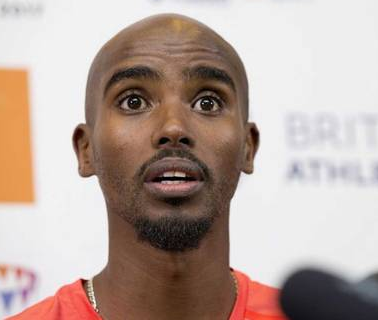 “Emotionally And Physically Drained” Mo Farah Pulls Out Of Birmingham Meet – Apologizes To Fans Who Bought Tickets To Watch Him Discuss here. 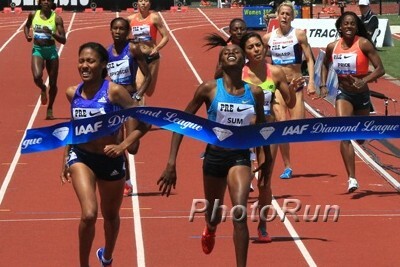 LRC Recap: Javelin And 200 Highlight As Hassan And Amos Get First DL Wins Of Year And Lagat Masters 1,500 WR The biggest news was Mo Farah pulling out of the meet before hand, but on the track there was a thrilling women’s 200m, in the infield one of the best javelins ever, and in the distances, Hassan and Amos picked up their first DL wins of the year and Bernard Lagat another masters WR in one of his least impressive runs of the year. LRC Fair Or Foul? Should Julius Yego’s 91.39m Monster Javelin Throw Have Counted In Birmingham? Our analysis using a free online photo editor shows it should be a foul, but Jesse Squire tells you why it counted. Angry Mo Farah Wants Answers Over Alberto Salazar’s Doping Allegations And Reveals A Lot He said he has never been on thyroid medication, will sit down with Alberto face-to-face, speak with Steve Magness and others in the documentary, and also make his blood values public to show he has nothing to hide. We’d also like him and the entire NOP to release the list of supplements they admit to taking when they are drug tested. The sports “grey area” may need to change. Editorials: Ben Bloom Editorial: Alberto Salazar Scandal Casts Shadow Over Second-Biggest British Athletics Meeting Of Year – Telegraph Bloom says, “No matter how much the powers protest, Britain is heavily involved in this episode.” It’s a great point. Amby Burfoot Editorial: No Rush To Judgment On Alberto Amby is one who realizes Nike has a big role to play in this. Editorial: Farah’s Smile Remains But He Must Ask Salazar Some Difficult Questions How can Salazar prove to Farah he wasn’t doping Rupp? 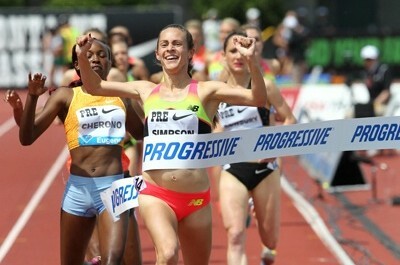 Jenny Simpson left it late but got her fifth straight win in a 1,500 at a DL meet. Super impressive. 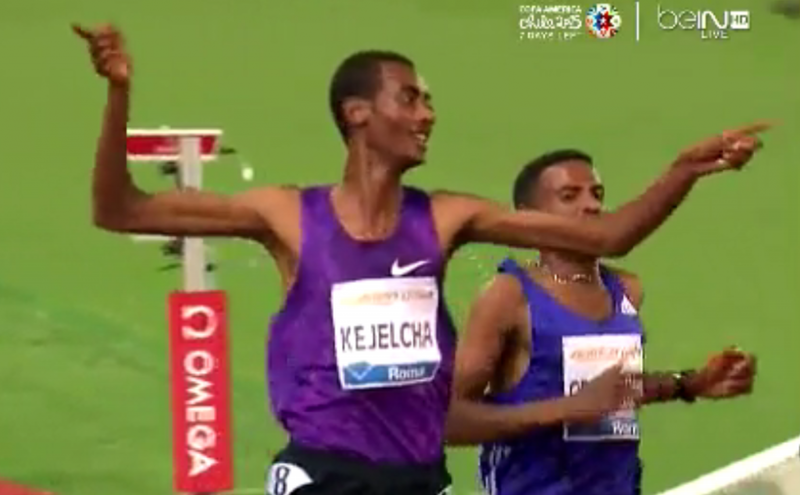 The Justin Gatlin, Mo Aman and Yomif Kejelcha trains kept rolling. SAFP Scratches From 200 With Minor Injury She got to the warmup track 2 hours early to try to get loose and scratched as a precaution. MB: What has the world come to? ESPN to honor Caitlyn Jenner with the Arthur Ashes courage award.